What is the Orbera Balloon? The Orbera Balloon, also known as the Gastric Balloon, is a proven medical device for weightloss. This procedure works by inserting a deflated silicone Orbera Balloon into the stomach, via gastroscopy under light sedation. Once the Orbera is inserted it is then filled with a saline solution to a size that suits the patients’ individual needs. The Orbera Balloon itself sits in the upper part of the stomach and stays in place for 6 months, during which time it aids portion control and allows the patient to feel full sooner on a smaller amount of food, therefore eating less. This is then complemented with a 12-month follow-up programme with Dr Reza Adib and 6 months of dietitian visits to assist you with your weightloss goals. The Orbera weightloss average is 10-15kg in 6 months. The majority of a person’s weightloss typically occurs during the first three months of treatment. The aim is to achieve an average of 1kg weightloss per week. The amount a patient may lose with Orbera Balloon depends on how well the programme is followed, and how they adapt to the eating and lifestyle changes. Who Qualifies For Orbera Balloon? The Orbera System is indicated for patients with a BMI of 27> (moderately overweight) and who are looking for a kick-start to weightloss. Patients also need to ensure they are motivated and ready to comply with a medically managed weightloss programme. Who Is The Orbera Balloon Suited To? The Orbera is suitable for people an ideal solution for those who are fed up with diets, pills and other weightloss programs that just haven’t worked. Can I access my Superannuation for the Orbera Balloon procedure? No, the Orbera procedure is an elective cosmetic weightloss procedure and therefore you are unable to access superannuation. The Orbera balloon is inserted non-surgically through the mouth. 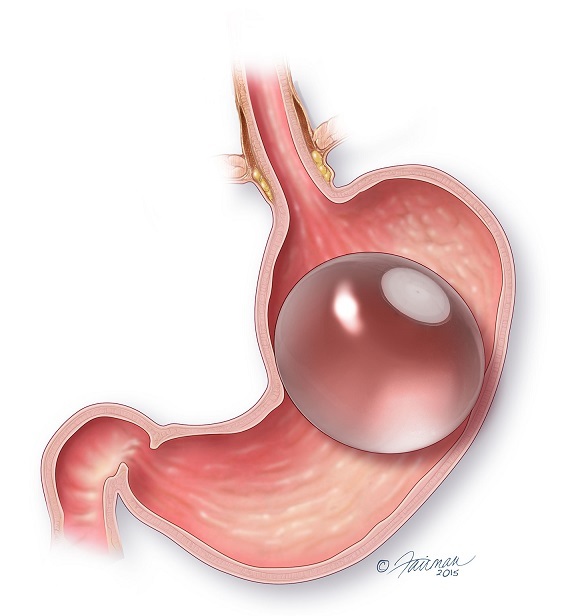 The Orbera balloon is put inplace within the stomach. The Orbera balloon is filled. The Orbera balloon is left in the stomach until time of removal.